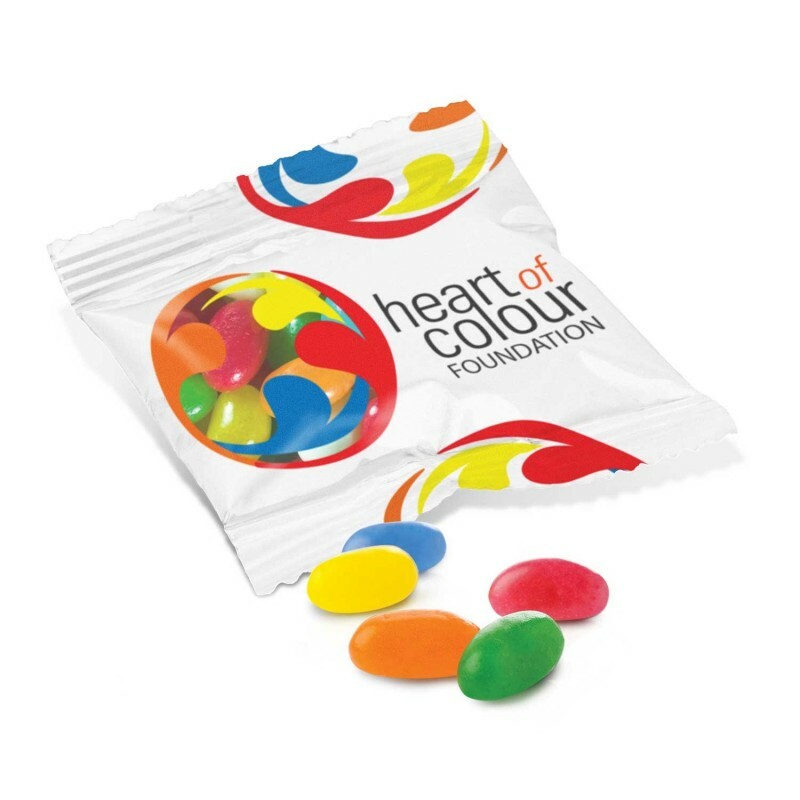 14 gram, treat size bag of assorted colour jelly beans which is branded all over in full colour. Standard ingredient information is printed on the back of the pack and a production lead time of 15 working days applies to this product. This item can only be ordered in the quoted order quantities. Product Dimension : W 65mm x H 75mm. Direct Digital : 145mm x 75mm.